Ultra-Luminous X-ray Sources and Intermediate Mass Black Holes: A lost middle sibling in the black hole family tree? 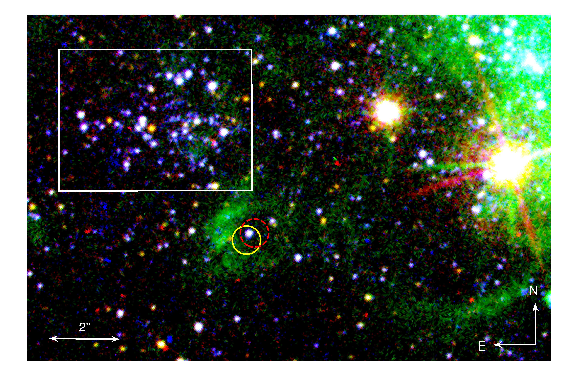 * Paper title: Optical Emission of the Ultraluminous X-Ray Source NGC 5408 X-1: Donor Star or Irradiated Accretion Disk? Continuums seem to be the name of the game in astronomy. On more than one occasion, astronomers have defined discrete subclasses for a type of phenomena only to later discover objects which populate an intermediate space between their original classifications (great examples of this are galaxies and supernova). So… what about black holes? All black holes discovered to date currently fall into one of only two classifications: Stellar Mass Black Holes and Super Massive Black Holes (SMBHs). Stellar mass black holes are formed during the core collapse of massive stars and typically range from ~1 – 30 M☉. SMBHs, on the other hand, are located in the center of many (perhaps most) galaxies and have masses upward of 105 – 106 M☉. As the more astute among you may have noticed, there is currently a several order of magnitude gap in the distribution of known black hole masses. It is still an open debate whether this gap is real, or if there is an, as yet unconfirmed, sub-class of black holes with masses between 102 and 104 M☉. These hypothetical objects have been termed Intermediate Mass Black Holes (IMBHs). Central to this debate is a class of objects known as Ultra-Luminous X-ray Sources (ULXs). ULXs are (you guessed it…) incredibly bright X-ray emitting objects. In order to comprehend how ‘ultra’ these sources really are, we first need to define a few terms: the Eddington Luminosity of an object represents the point at which the force outward due to radiation pressure exceeds the force inward due to gravity. For systems (such as X-ray binaries) where the main source of radiation is accretion onto a central object one can therefore define the Eddington accretion rate as the accretion rate which would cause the object to radiate at its Eddington Luminosity. 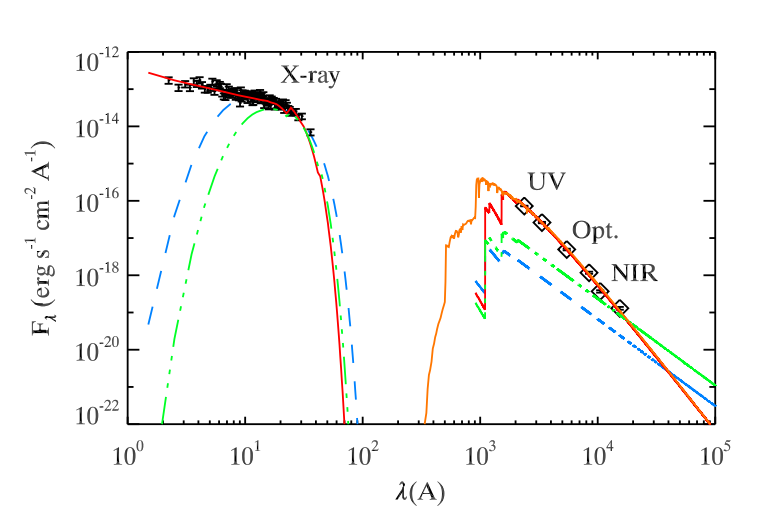 As it turns out, assuming ULXs radiate isotropically, their luminosities actually exceed the Eddington Luminosity for stellar mass black holes. It is therefore possible that ULXs actually harbor IMBHs. In this scenario, ULXs would simply represent more extreme X-ray binaries: an accreting black hole binary system, radiating below its Eddingtion luminosity, with a black hole mass greater than approximately 100 M☉. This theory is not the only configuration that could explain ULXs, however. If the radiation is beamed towards us, the total luminosity of these object may be far lower that what we calculate assuming isotropic emission and it also may be possible for some stellar mass black holes to accrete at super-eddington rates. Attempts to directly measure the mass of a ULX compact object by measuring the motion of a companion star have thus far been unsuccessful. Current investigations into the nature of ULXs therefore hinge on characterizing the emission from the full electromagnetic spectrum from X-ray to radio. The current paper obtains simultaneous Hubble Space Telescope and Chandra X-ray Observatory observations of a particular ULX: NGC 5408 X-1 (See Figure 1). The simultaneous observations are critical because they aim to create a physical model which explains the emission emanating from the ULX between the optical and X-ray bands and several ULXs have been shown to be time variable sources. Figure 2, below, shows the X-ray, ultra-violet, optical, and near infra-red flux from the source with four physical models overlaid. Hubble and Chandra Observations with various physical models overlaid. The blue and green lines represent two versions of a modified accretion disc model that has been extrapolated to optical wavelengths. You can see that both models fall an order of magnitude or more below the observed fluxes in the UV and optical bands. The red line, on the other hand, represents an irradiated disc model. In this model, some of the X-ray emission from the central source is absorbed by the material in the accretion disc itself and then re-radiated at longer wavelengths. The authors find that all of the observed flux is consistent with this model. They caution, however, that this is by no means conclusive. The orange model represents the UV/optical emission expected from an B0I supergiant (notice the blackbody-like shape). You can see that this model is also consistent with the Hubble data. Thus, the authors conclude that their observations alone cannot determine whether the optical emission is due to a donor star or an irradiated accretion disc. They note, however, that such distinctions could made with further monitoring. If the optical emission were due to re-radiated light from the central object, one would expect any variations in optical and X-ray emission to be correlated. 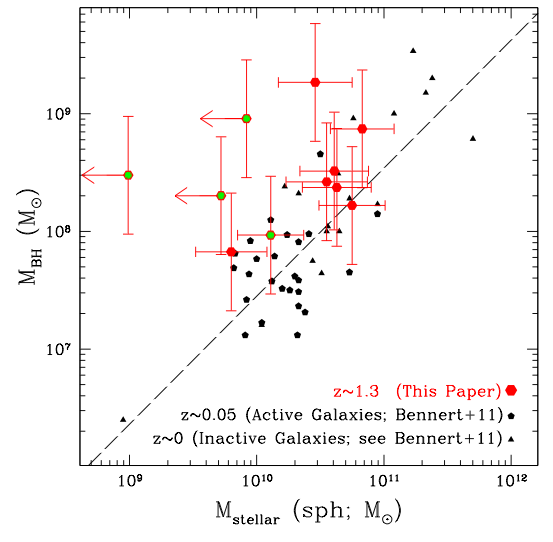 One would NOT, however, expect any correlations if the optical emission were due to a donor star. They also emphasize that certain supercritical accretion models are not consistent with the presence of an irradiated disc, and thus confirming the nature of the optical emission in NGC 5408 X-1 will help to unravel the true nature of some ULXs.